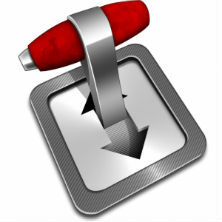 Transmission, one of the most used non-commercial BitTorrent clients, has a vulnerability that allows outsiders to gain control over people's computers. The flaw affects users who have remote control enabled with the default password. The vulnerability was revealed by a Google researcher, who plans to disclose similar remote code execution flaws in other torrent clients as well. With millions of active users, Transmission is one of the most used BitTorrent clients around, particularly for Mac users. The application has been around for more than a decade and has a great reputation. However, as with any other type of software, it is not immune to vulnerabilities. One rather concerning flaw was made public by Google vulnerability researcher Tavis Ormandy a few days ago. The flaw allows outsiders to gain access to Transmission via DNS rebinding. This ultimately allows attackers to control the BitTorrent client and execute custom code. Ormandy has published a patch, which was also shared with the private Transmission security list at the end of November. Transmission, however, has yet to address the issue in an update. The relatively slow response was the reason why Ormandy decided to make it public before Project Zero’s usual 90-day window expired, Ars highlights. This allows other projects to address the vulnerability right away. A member of the Transmission developer team informed Ars that they will address this ASAP, noting that the issue only affects users who have remote control enabled with the default password. This means that people who disable it or change their password can easily ‘patch’ it until the official update comes out. Judging from a message the researcher sent late November, uTorrent is on the list as well. Apparently, the company’s security email address wasn’t set up correctly at the time, so BitTorrent inventor Bram Cohen has been acting as a forwarding service.